Washer Repair Clear Lake City all types of washers, Front Load, Top Load, High Efficiency Top Load, Commercial, and Residential. We repair all brands of washers, Amana, Asko, Bosch, Frigidaire, Kenmore, KitchenAir, GE, Hotpoint, Maytag, Samsung, Sears, Thermador, Viking, Whirlpool. If you have a Washer that needs to be repaired or serviced in the Houston Area contact us, and let us know what you need. If your washing machine is not cleaning clothes and acting up, such as not spinning or lack of drainage, if your Whirlpool won't spin, or if your washer is making a loud noise, maybe your washer won't agitate, we can help. 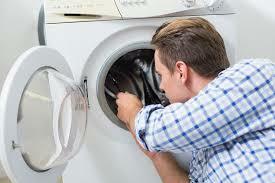 My Appliance Repair Clear Lake City Houston will have your washer repaired or serviced in know time. We will have you Washer up in running in no time.